"Being a manufaturing and trading Company that empowers professionals with local expertise and constantly seek business opportunities in order to increase the added value for the Company"
"Maintaining the quality of products and services to achieve customer satisfaction with the quality of human resources"
PT Multi Prima Sejahtera Tbk. Is a public company engaged in the manufacturing industry of automobile parts, which was established on January 7, 1982 based on notarial deed Misahardi Wilamarta, with attestation number No.C2 302.H.T.01.01 Decree-TH.84. State news was announced in sheet number 82. On June 27, 2001 with certificate number 137 of Misahardi Wilamarta, SH. Companies are experiencing changes such as change of name of the Company to PT Multi Prima Sejahtera Tbk. With the endorsement number Decree No. C-02 583 HT.01.04.TH.2001 per June 28, 2001 was published in the State news sheet number 8217, with the addition of the number 100 as of December 14, 2001. 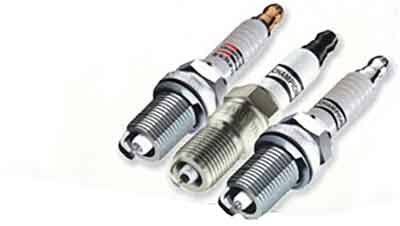 The main activity of the Company manufactures and markets Sparkplug and Auto Parts with the trademark "Champion" is derived from the United States license.